We’re excited to announce that we just sent our traveling exhibit panel series on white oak basketmaking to its first destination, the Allen County Public Library in Scottsville. It’ll be displayed for a six-week period before it moves on. Stay tuned as we announce upcoming locations! 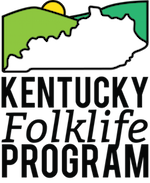 In addition to the exhibit, we’ll be hosting The Basket Maker’s Catalog‘s Beth Hester at the library on November 15th from 10 a.m. to noon to discuss and demonstrate her knowledge on Kentucky basketmaking. Participants will have the opportunity to make a woven ornament. Contact the library at info@allencountylibrary.com or (270) 237-3861 to reserve a spot.